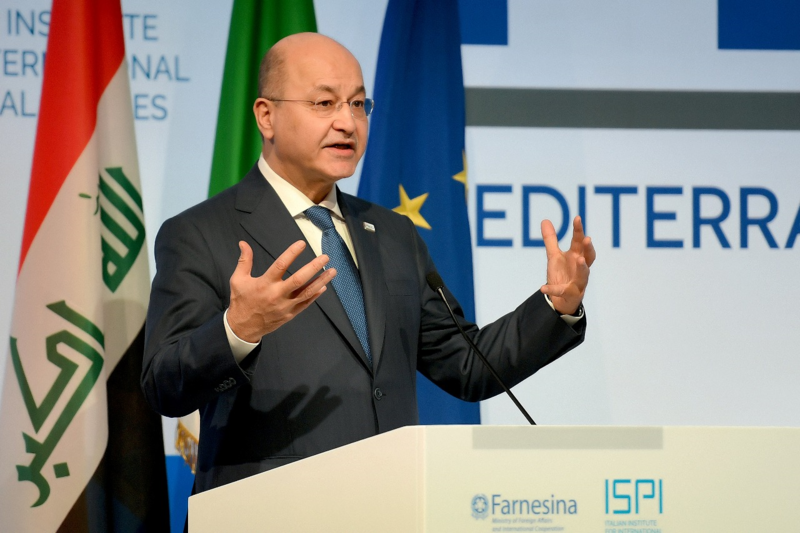 President Barham Salih, on Sunday, April 14, 2019, visited one of the mass graves recently found in the desert of Samawa. The mass graves included the remains of dozens of victims of our Kurdish people. His Excellency was accompanied by the representative of the Secretary-General of the United Nations Ms. Jeanine Hennis Plasschaert, the Governor of Muthanna Ahmed Manfi Jouda, a number of families of the victims, and eye witnesses to this heinous crime from the people of the District of al-Salman. Upon the President’s arrival to the cemetery, he read Surat Al-Fatihah on the souls of the martyrs. "The crime of Anfal is considered genocide against the Kurdish people, and that the discovery of this cemetery is new evidence on the crimes of the defunct dictatorial regime,” the President Salih emphasized during his visit that coincides with the anniversary of the infamous crime of the Anfal campaigns. President Salih indicated that Saddam's regime annihilated the Kurds not because the they are Kurds, but the regime saw that they pose danger to it, therefore, the regime inflicted harm on them, as it harmed our people in the middle and the south of the country because they did not tolerate injustice and tyranny and sought a free and dignified life. 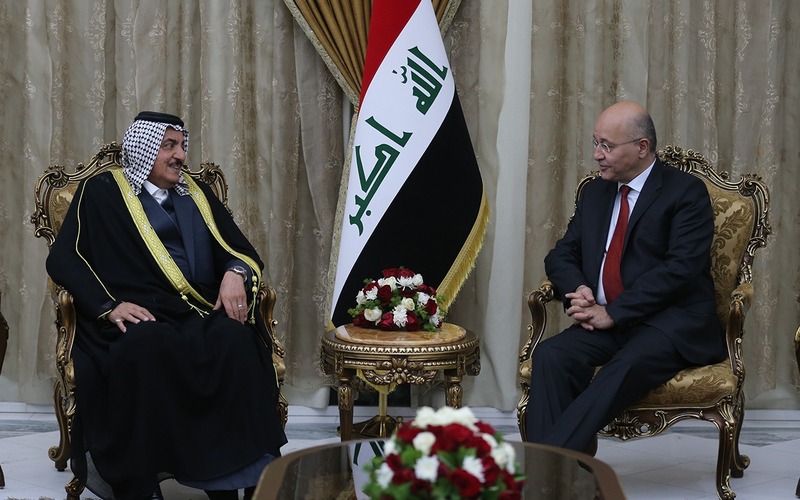 His Excellency stressed that "supporting the grievances requires us to emphasize the national commonalties that Saddam's tyranny does not reemerge once again, and that redressing the families of the victims requires us to combat corruption. This is our promise to the Iraqis as Kurds, Arabs, Turkmen, Christians, Yazidis, and all denominations and sects. We have to be one hand to win over all the crimes that Saddam and his gang have done. "At this historic moment, we must emphasize that the precipitation of the Baath and the Saddamist ideology of ISIS’ crimes is a clear indication that we are not immune to their terrorism, which require us as Iraqis to learn from the lesson," His Excellency said. The President stressed that the State with injustice does not last. 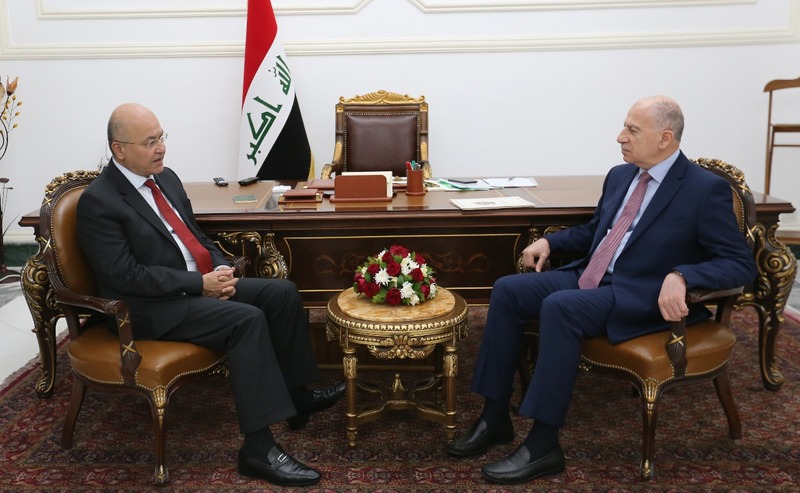 Two speeches were delivered on the event by the representative of the Secretary-General of the United Nations in Iraq and the Governor of al-Muthanna. The speeches condemned the heinous crimes committed by the defunct Saddam Hussein's regime against the Iraqis and the Kurds in particular. The speeches called for redressing the families of the victims by granting them privileges that they deserve.